One of the easiest to identify and most wide spread wild edibles I can think of are cattails. Common to marsh and slow water areas across North America these plants offer some sort of food product all year round. Even with cattails I always advise any new wild crafter to know their plant well. 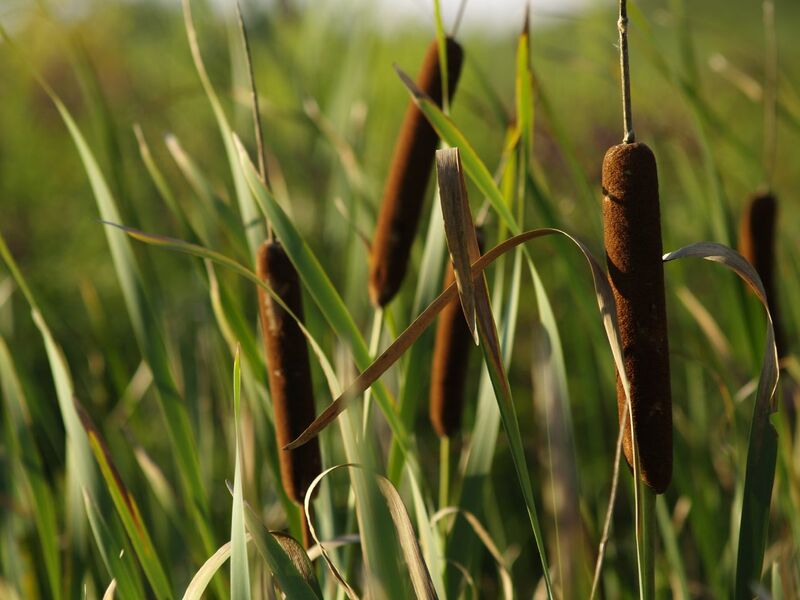 Though cattails themselves are edible from stem to stern their are other plants that share their growing area that are not a good idea to ingest. *Study any plant you plan to harvest for your personal consumption from season to season, tracking the plant from spring to winter so that you are familiar with every aspect of the plant from root to flower to seed. I personally have tracked some plants through several years of growing just to be positive I know what I think I know as I watch, research and learn about each plants needs, edible parts or medicinal qualities. For a beginning wild crafter I would advise picking out just five plants to learn a year. You will of course pick up information along the way about other plants but centering your attention of five basic plants will insure that you both know these plants completely and that you are not overwhelmed by vast amounts of information. Remember also that if you do not like to read, wild crafting is not for you. There is endless research to do and never settle on just one field guide. Buy several and cross reference whenever possible. Ask questions, read, learn and as always, When in doubt; Toss it out. As I mentioned before there are a few poisonous plants that enjoy the same growing conditions as cattails. Blue flag (Iris versicolor) and Yellow flag (Iris pseudoacorus) are both beautiful marsh flowers. Let their beauty fill your soul but never your stomach! Both are very poisonous and should be avoided and this is even more important when winter harvesting the roots of cattails. Proper identification is a must so only collect where the winter heads of cattails are abundant. With winter upon us we have the best time for collecting cattail roots for harvesting flour. Spring and summer growth has died back and though you can collect the roots anytime of the year for flour now is the time when the plants have stored all their starches in the tubers for the winter and your harvest will be great enough to condone the work involved. Collect your tubers and wash off excess the excess mud that will be clinging to the in between the nooks and crannies of the root. Peel the roots, the inner core is about a half inch in diameter and is what we are after. Crush the peeled roots thoroughly in a container of water and strain out fibers. Allow starch to settle to the bottom of your container washing it several times with fresh water and allowing the starch to settle between washings. 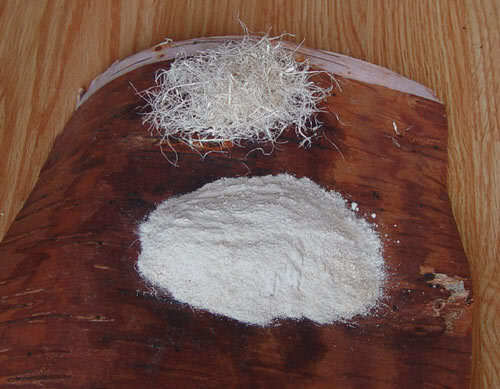 This “flour” can be dried for storage or used wet. 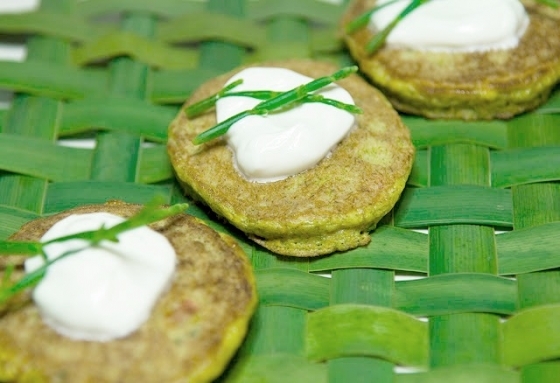 Substitute Cattail flower for 1/3 to ½ have your normal flour in any recipe you have until you find the right combination that suits your needs. I am personally notorious for taking poor, defenseless recipes and adulterating them to the point they no longer resemble their origin. Have fun in the kitchen, conquests are many and mistakes add character to the compost. I will cover each plant part of cattails as they come into season but for now here are a couple of basic recipes to get you going. Remember all those jellies you made last summer that just didn’t quite set up? Now is the time to break them out, lable them pancake syrup and create a wild feast fit for a king! Mix and pour on hot griddle about a silver dollars worth of batter. Cook until golden and serve with butter and syrup. Whatcha bread is my own recipe based on “what are you” in the mood for, or better yet what do you have handy. I use this base recipe often when I cook and ingredients can be alternated easily to produce a moist bread or muffin. 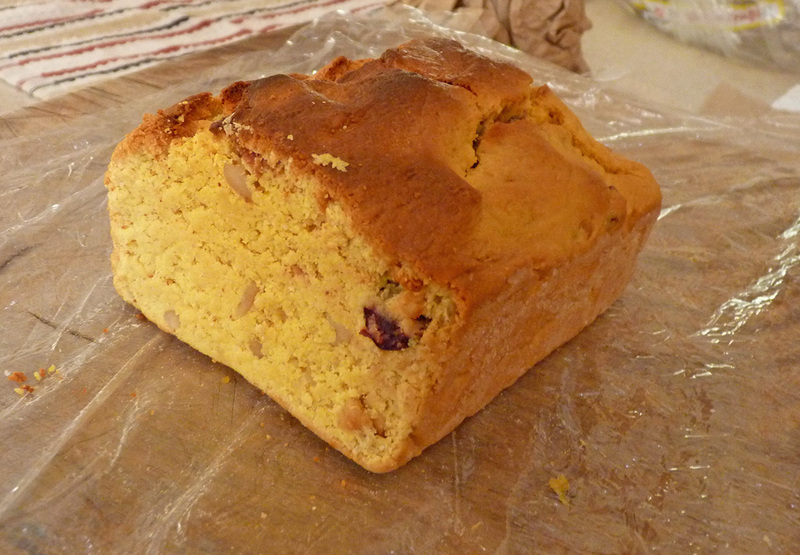 Later I will introduce everyone to my Whatcha yeast bread, which is also a family favorite. Cream butter & sugar until light: add applesauce & remaining ingredients. Pour into 9"x5"x3" loaf pan, lined on the bottom with wax paper. Bake @ 325° about 1 hr. This recipe also makes great muffins and feel free to add any sort of nut you want. I always have raw sunflower seeds on hand and these end up in lots of my recipes as the nut.